Good quality water is a foundation of a great cannabis grow. Understanding some of the finer points about water, and how it can affect your cannabis can help take things to all new heights. Water quality is an often overlooked aspect of cannabis growing. It can be responsible for so many problems, including those dealing with nutrients. We know how tempting it is to reach for the nutrient troubleshooting sheets and feed your plants more. Put those bottles down, stop scratching your head, don't panic and ask yourself this back to basics question. "Have I checked my water quality lately?" 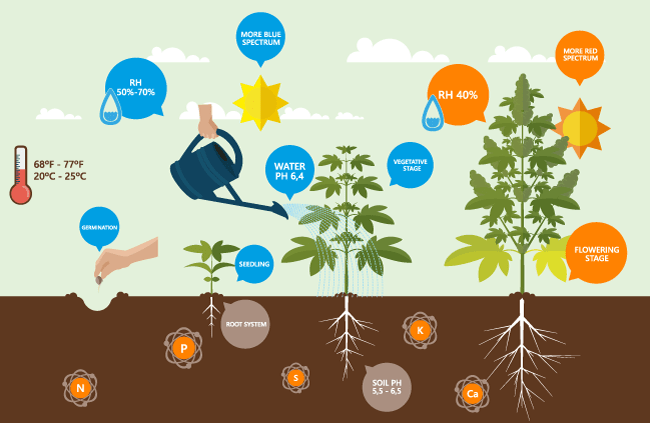 In part one of our guide on water quality, we look at why water is important, and how pH affects a grow. All life on earth is dependent on it. We are all made mostly of water. Even the surface of the earth is more water than land. Cannabis is ninety percent water and uses it in a number of ways to live and grow. Water transports nutrients, gives the plant its stiffness and lushness or "turgor," and plays a major part in photosynthesis. During the day, water travels up the stem to the leaves where it evaporates through tiny holes called stomata and is then exchanged for carbon dioxide. This is called transpiration. The exchanged carbon dioxide is then used to in combination with light to create sugars which are the plant’s food; this is called photosynthesis. This little lesson in biology is all well and good, but what does it have to do with poor water quality? Poor water quality means these processes can't function properly and the result is a lot less bud for you. So indoor or outdoor, water quality is very, very important. Many problems stemming from water inconsistencies can mimic other issues that can affect the cannabis plant. Aside from over or under-watering, this can include symptoms of over or under fertilisation, or even heat stress, and it is usually only the experienced grower that can tell the differences at a glance. So before you go playing with the intricate witches brew that makes up most nutrients, do one simple thing. Check your water. The first factor to look at is pH. pH affects a cannabis plant’s ability to transport nutrients and carbohydrates. The symptoms of either too high pH or too low pH are very similar and can be confused with a number of nutrient problems - the solution to which can have you chasing your tail for weeks searching for an answer. It could just be a wonky pH affecting your ladies’ ability to transport nutrients. We have seen plants with several different symptoms simultaneously and the troublemaker turned out to be bad water pH. Cannabis thrives at a pH that hovers around 6.5. A little higher or a little lower is okay; in fact, some indicas enjoy a low 6.2, but you can’t go wrong keeping it at 6.5. Modern growing techniques will have you flushing your plants often enough to avoid much pH fluctuation in your growing medium due to nutrient build up, so pay good attention to your water and you can't go wrong. 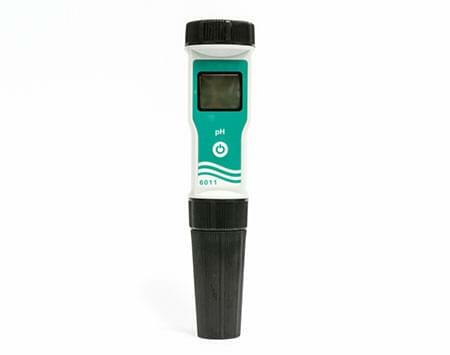 Checking your pH is as easy as swishing a pH metre around in your water runoff sample. There are as many pH testing products as there are serrations on a sativa leaf. Let your budget decide whether you buy a simple analogue probe or a more expensive digital one - with all the bells and whistles. These metres don't require any calibration and are ready to go straight out of the box. Just remember to test your runoff water, as this is the correct reading of what your plants are getting at the root system, and adjust at the top end to suit. If you are doing DWC (hydroponics), regularly check your reservoir or top tanks, as pH can alter as nutrient solution levels fluctuate. Altering pH used to be a delicate process, put it has become much easier with the introduction of specific cannabis pH kits to the market. There are even a few kits that adjust pH automatically! pH up - to make water more alkaline, dissolve garden lime in your water. Take it easy until you find the amount that works for you per litre. pH down - to make water more acidic, use white vinegar. What? I hear you scream, vinegar! But for real, it works a treat. While correcting pH, it is a good time to flush your plants out with some of your newly corrected water, helping bring the soil to level. It is a good idea to do this with oxygenated water prior to the lights going off, giving the plants a night time boost that mimics nature. Taking oxygen in at the roots and creating more root mass. Outdoor growers and indoor soil growers have an advantage when it comes to pH. They have a greater margin of error. The colonies of microorganisms that form in organic growing matter act as buffers and filters and help keep pH between 6.5 and 7 most of the time. Nutrient build up isn't usually a problem when growing organically outdoors either, as rain is the great neutralizer and thieving cannabis trees tend to gobble so much food you usually end up having to supplement the soil anyway. This doesn't mean you should be complacent. Although you would need to have some kind of toxic event in your water source to have pH problems outdoors, it can happen. We have seen growers being caught out and suffering as a result. The moral of the story is always take the time to check on your pH; it is simple to test and easy to rectify when wrong, but it can cause all sorts of havoc if left alone. Don't get lazy. Check your pH. In our next article on water quality, we will look at the importance of PPM and EC.